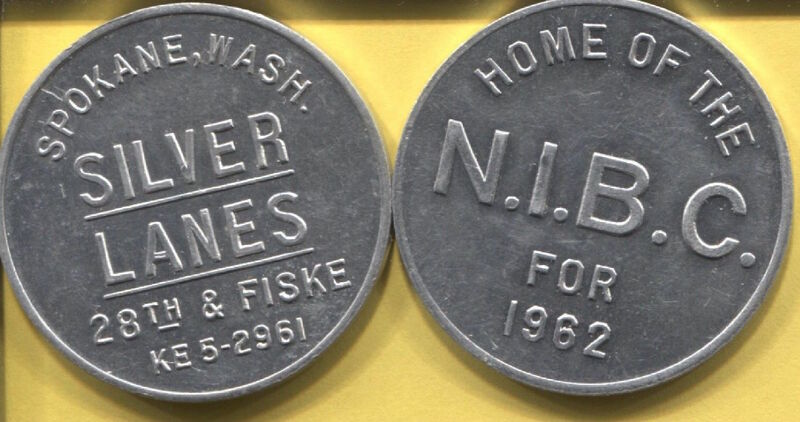 Bowl for Silver. Silver Lanes. Bowl for Diamonds. Diamond Bowl. 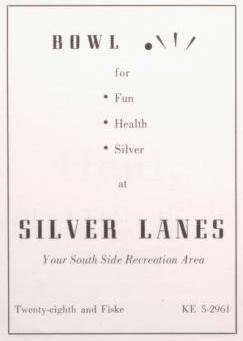 Bowl for Fun, Health, Silver. Your South Side Recreation Area. 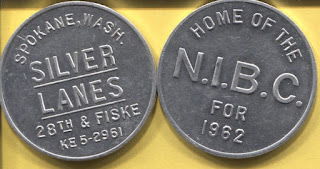 KE 5-2961. 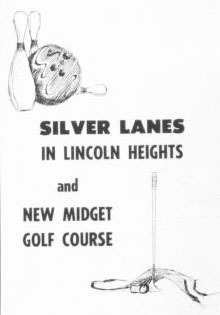 Silver Lanes in Lincoln Heights and New Midget Golf Course. 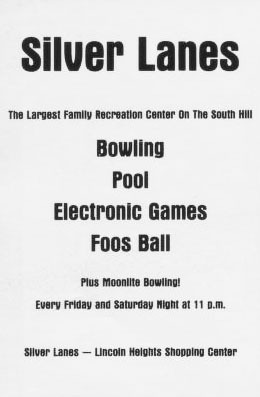 Silver Lanes, Lincoln Heights. 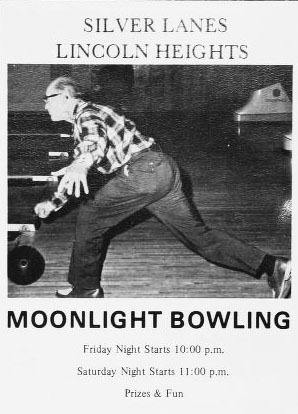 Moonlight Bowling. Friday Night Starts 10:00 p.m. Saturday Night Starts 11:00 p.m. Prizes and Fun. The Largest Family Recreation Center on the South Hill. Bowling, Pool, Electronic Games, Foos Ball, Plus Moonlite Bowling! Every Friday and Saturday Night at 11 p.m. Silver Lanes - Lincoln Heights Shopping Center.